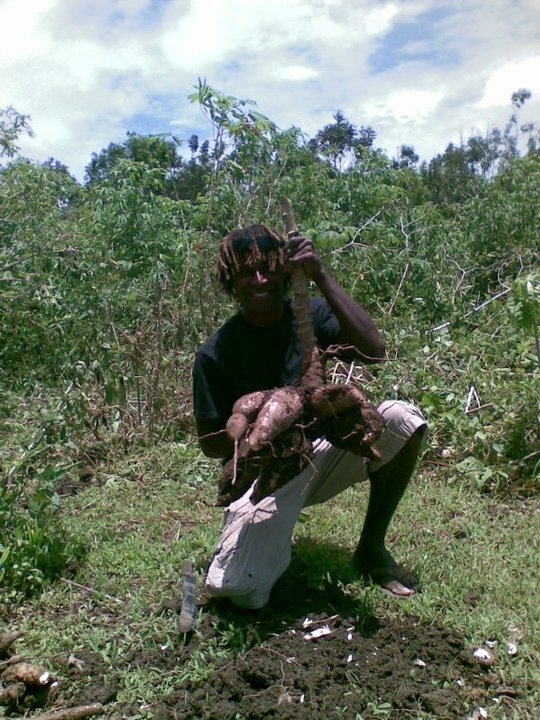 Vanuatu is, to a large degree, based on subsistence farming and that is also the environment most young people would be most familiar with. V2LIFE runs a small farm to use this circumstance as a tool to disciple young people. A handful of youth are living and working at the LIFE FARM. They have recognized issues in their lives such as addictions, emotional hurts, moral struggles and all their implications and a general loss of direction in their lives that are momentarily hindering them from getting an education or a job. 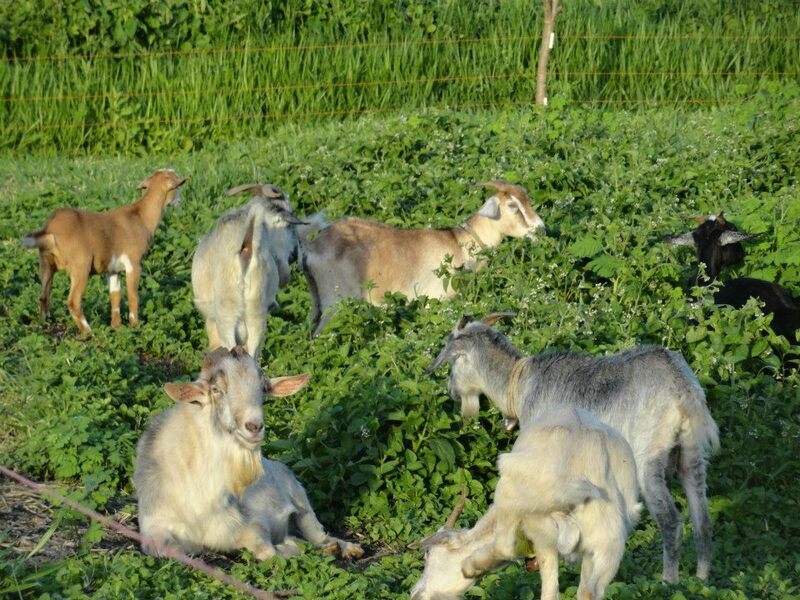 Life at the farm is filled with all sorts of manual labor – taking care of our chicken and goats, working the fields, processing the harvest or selling the products, only to mention a few here. We also want to branch out and teach fish farming and even handicraft and arts in the future. Besides learning valuable hands-on skills the youth also learn about responsibility, reliability, honesty, work ethics, team work and many other important values for a successful and meaningful life. As part of teaching skills in the area of agriculture and aquaculture we see it as a great opportunity to introduce and even research new and better models and systems of how people in developing nations on a grassroots level can use these areas to create a better livelihood for themselves. We hope that over time we will be able to start impacting families and communities in Vanuatu through the youths who will have lived, worked and learned with us. The farm runs alongside our LIFE FAMILY which really gives the context for life at the farm. It is like the farm is family run. To be LIFE FARM staff you need to have some experience in farming or at least a real interest in getting experienced, wanting to use farming as a tool to disciple and rise up young people. You need to be quite solid in your walk, not being shaken easily, especially not in areas where the youth you will be working with are struggling. The LIFE FAMILY provides the context for our farm. The two ministries really go together, depending on each other. It is like the farm is family run, staff and participants living and working together in a family like environment. It is during the family times when the youth receive encouragement discipleship and counseling to help them form life-giving biblical habits and patterns. Within the family there are also times of worship and intercession as well as teaching sessions on selected topics. As a staff with the LIFE FAMILY you need to have a heart for, and preferably some formal training and experience in counseling. You will work with young people struggling with addictions to alcohol, kava and marijuana, struggling with the hurts from abuse and family breakdowns, struggling with anger and even rage, some of them having spent time in prison. Your job is it to create a safe family environment facilitating the process of healing that needs to take place. You will need to have a solid walk especially in the areas where the youth are struggling. As much of this is happening in the context of the farm you also have to be okay with manual labor, animals and getting your hands dirty.